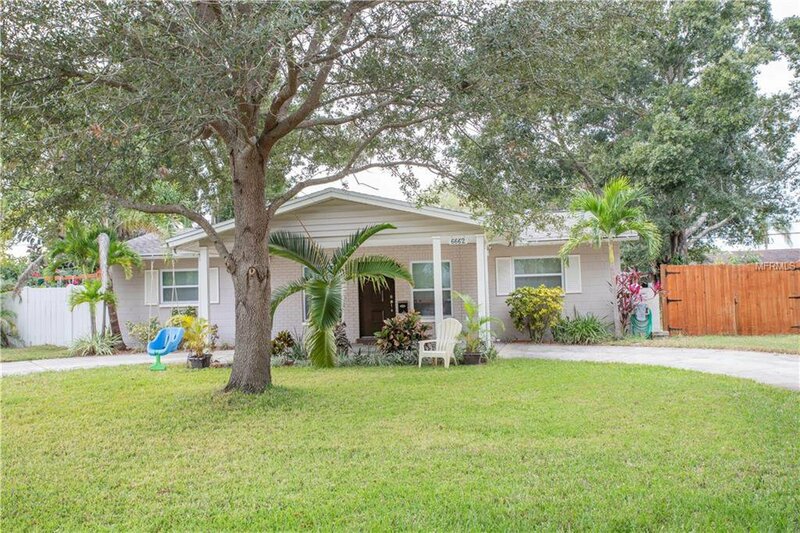 Wonderful remodeled three bedroom two full bathroom pool home in centrally located Meadow Lawn neighborhood. Split bedroom plan with updated kitchen, living room, family room, and inside laundry room. Circular driveway, and fenced backyard with newer solar heated pool and pavers. Roof 2018, HVAC system 2017, double pane windows 2017, hot water heater 2017, electrical panel 2010, and much more. Fantastic location that is convenient to downtown St. Petersburg, Tampa, and the beaches. Home is close to shopping, schools, restaurants, and parks. Listing courtesy of RE/MAX METRO. Selling Office: LUXURY & BEACH REALTY INC.